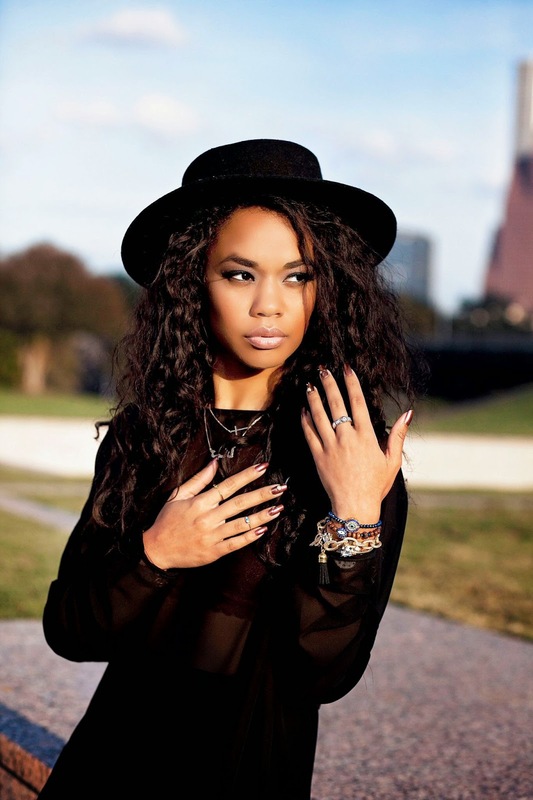 I can't wait for all the fashion shows and to have some Fashion Night Out fun here in Houston. 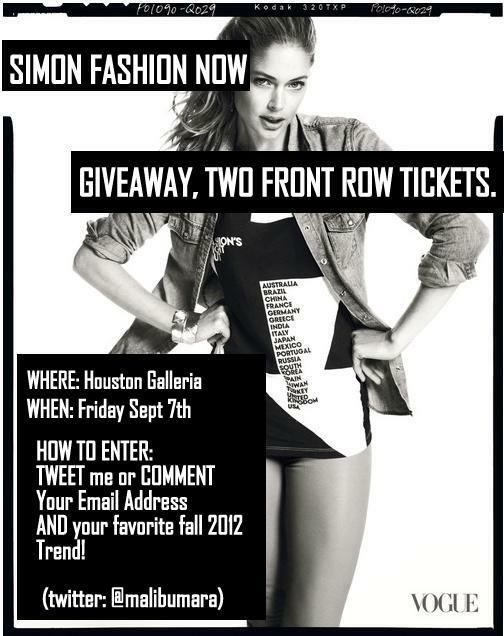 HAPPY NEWS, I am giving away two front row tickets to Simon Fashion Now in the Houston Galleria. TO enter,comment this post with your email address and favorite Fall 2012 trend. If you want an extra entry OR if you don't have a blog to comment you can tweet me on twitter (@malibumara) your email address and favorite trend. GIVEAWAY ENDS ON MONDAY SEPTEMBER 3rd. Hi pretty giril! So good to meet you on Thursday. Here are some pics from the event. Would love to go and cover this fab Houston event! I am still not over prints and mixing 'n matching them. Would love to cover the show in Houston.